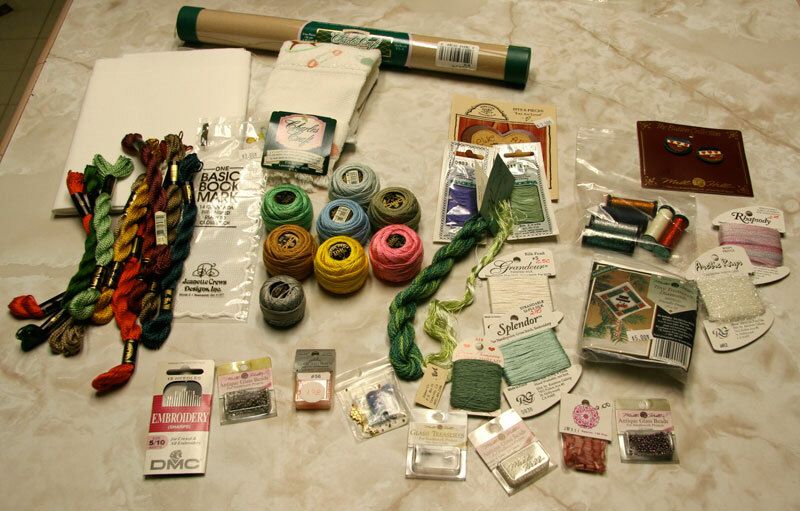 Lara's Loose Threads: New stash! This actually came in a couple of weeks ago but I'm just now getting around to posting it. 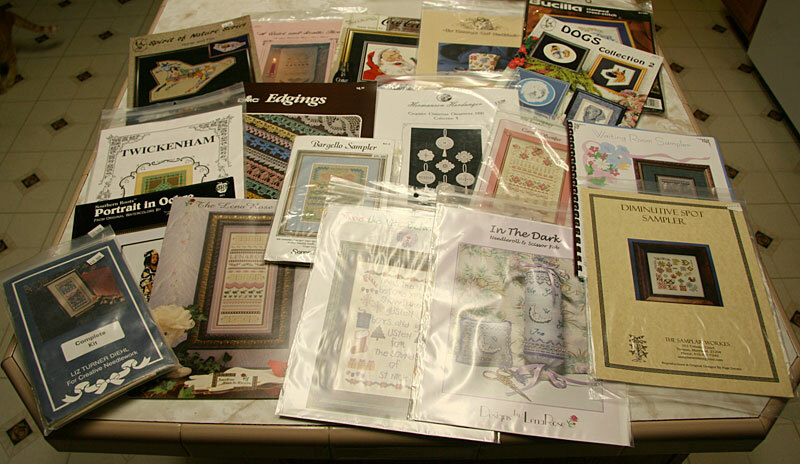 I saw on another stitch blog that Designs by Lena Rose were closing up shop and selling off their stitching supplies in a "grab bag" of basically how much stuff could be crammed into a priority mail box. Below are the items they put in my box... all of which I got for a grand total of $22 (including shipping). There were only a couple of things that I probably won't use, so it was a GREAT deal. I was really happy to get some more sizes of pearl cotton so I can play with hardanger embroidery (and I got a huge piece of white 22 ct. fabric for it too!). I also now have my first overdyed Watercolours thread to play with! Belated photo of a finish!